The Teamsters spend $3 million in dues money for internal and external supervision stemming from federal racketeering charges. The Teamsters spend approximately $3 million per year of members’ dues money for internal and external supervision due to federal racketeering charges brought on by criminal activities relating to internal elections. The Teamsters have a long history of corruption and criminal activity dating back to 1903, with infiltration by mafia criminal syndicates. This type of corruption continued and reached an apex in the 1950’s and culminated in US Department of Justice and congressional investigations into the labor movement. In fact, these scandals led to legislative action to regulate the labor movement and spurred the passage of the restrictive Labor Management Reporting and Disclosure Act, otherwise know as the Landrum-Griffin Act of 1959. 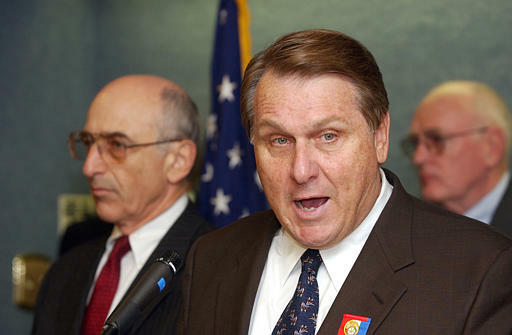 Teamster corruption reached such epic proportions that the union was ejected from the AFL-CIO, the largest labor federation in the United States, because it was feared that the scandals would lead to harsher regulation of organized labor and cripple the labor movement. Sadly, Teamster corruption continues to this very day and the cost is borne by Teamster dues paying members. Please click here to read for yourself how the Teamsters spend $3 million per year of dues money for oversight. This entry was posted in Teamster Corruption and tagged corruption, failure, IBT, Teamster Corruption, Teamsters by iamjac. Bookmark the permalink.